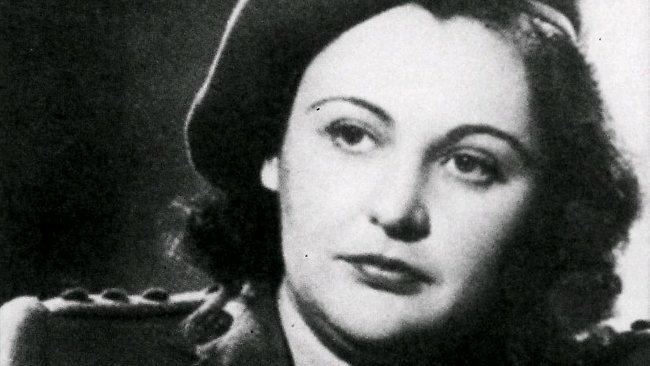 The ashes of Australia’s most decorated World War II servicewoman, former saboteur and spy Nancy Wake, have been scattered at a ceremony in France. The service took place in a forest near the village of Verneix, whose mayor attended the ceremony, as did an Australian military representative. 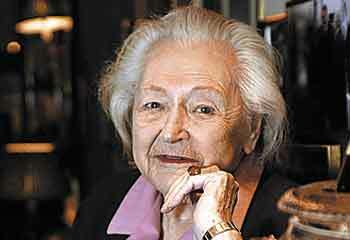 Mrs Wake died in 2011 at the age of 98. It had been her wish that her ashes be scattered in the area, where she played a key role in the resistance movement against German occupation. Australia was represented at the ceremony by military attache Brig Bill Sowry. Mrs Wake was partial to an early morning gin-and-tonic and after her ashes were scattered, there was – as she had apparently asked for – a drinks reception at the local mayor’s office. Mrs Wake was one of the most highly decorated Allied secret agents of World War II. Born in New Zealand but raised in Australia, she is credited with helping hundreds of Allied personnel escape from occupied France. The German Gestapo named her the “White Mouse” because she was so elusive. After studying journalism in London, Mrs Wake became a correspondent for the Chicago Tribune in Paris and reported on the rise of Adolf Hitler in Germany. After visiting Vienna in 1933, she vowed to fight against the persecution of Jews. After the fall of France in 1940, Mrs Wake became a French Resistance courier and later a saboteur and spy – setting up escape routes and sabotaging German installations, saving hundreds of Allied lives. She worked for British Special Operations and was parachuted into France in April 1944 before D-Day to deliver weapons to French Resistance fighters. At one point, she was top of the Gestapo’s most wanted list. “Freedom is the only thing worth living for. While I was doing that work, I used to think it didn’t matter if I died, because without freedom there was no point in living,” she once said of her wartime exploits. It was only after the liberation of France that she learned her husband, French businessman Henri Fiocca, had been tortured and killed by the Gestapo for refusing to give her up. She returned to Australia in 1949, where she failed several times to win a seat in parliament. In 1957 she went back to England, where she married RAF fighter pilot John Forward. Her story inspired Sebastian Faulks’ 1999 novel Charlotte Gray. A film based on the book, with the lead role played by Australian actress Cate Blanchett, was released in 2001.